This blogs contains basic integration setup between C4C-S4H using PI and how business partner integration and architecture is different from ECC and will restrict myself to integration only. 1) Create S4H user – S4user is required to communicate between system and necessary authorizations are required for success full connectivity and data replication. b) Create user – Example – CODINTEG or any user name as per business need. i)Go to https://support.sap.com web site. vii) Ensure all the certificates used are valid and are not expired. Choose Import repeat the steps to import the other certificate Cybertrust SureServer Standard Validation CA. I am going to discuss steps required for integration between C4C- S4H and C4C system is setup with Administrator user and other activity like business role ,org set up , Product categories and distribution,division is already defined in C4C. Click on new and maintain below information as per the screen shot . Path :Navigate to the following work center view and click on edit . 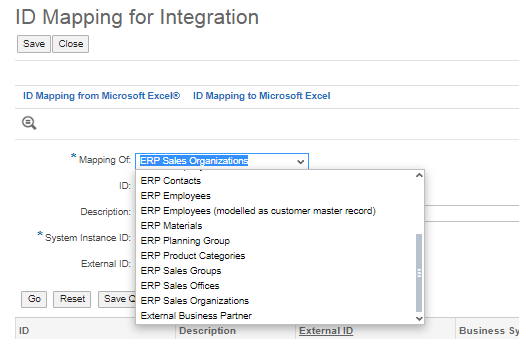 Choose Sales org from the drop down for the field Mapping of. A) Navigate to Administrator >>General Settings >>Integration>> Communication Arrangements. 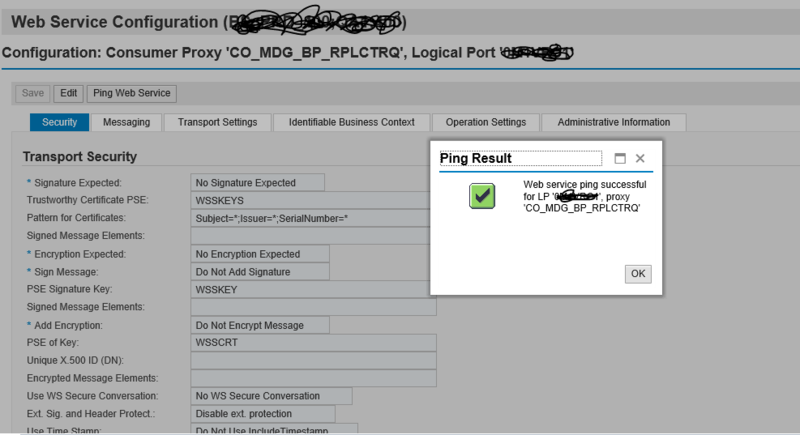 In the Service Path field enter /sap/bc/srt/IDoc. 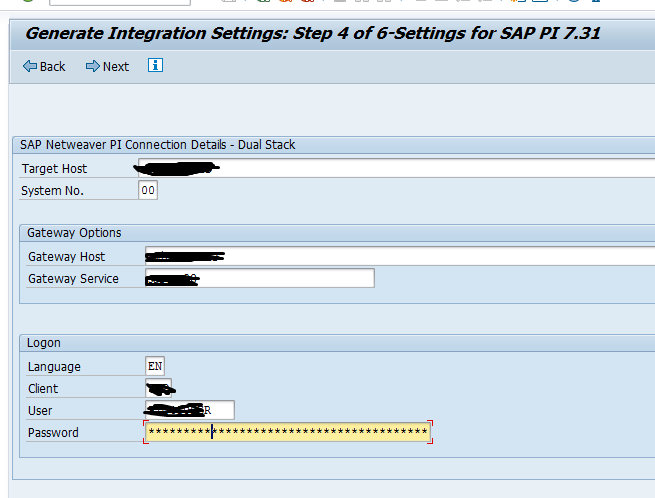 Note :- Basic SD related configuration is not part of this integration blog, only integration aspects has been described . BC Sets activation and automatic exchange program both these activities are important and should be followed one after other. 5.4) Run Automatic data exchange Program – Running this program creates all necessary integration related functions in S4H like distribution model/ Message type/Jobs/Partner Profile.This program also creates configuration for BP replication which is web service based and BP related service in soamanger gets updated with required information . 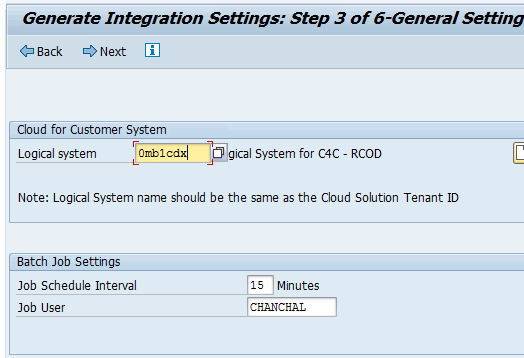 5.4.4) Write in or select logical system name of C4C – Imp – Logical system name should be same as C4C tenant ID. Select job user and interval time . Jobs will be created for data replication like Material etc. 5.4.6) Take the URL of BP from PI endpoint as this is web service based. 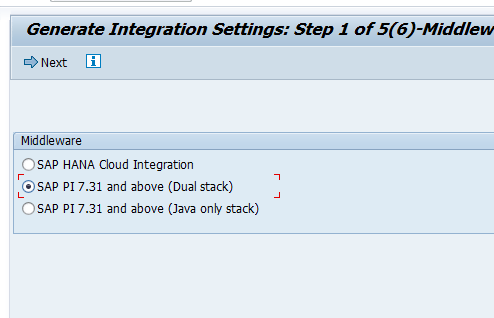 5.5.3) Under Configurations, choose Create > Manual configuration. 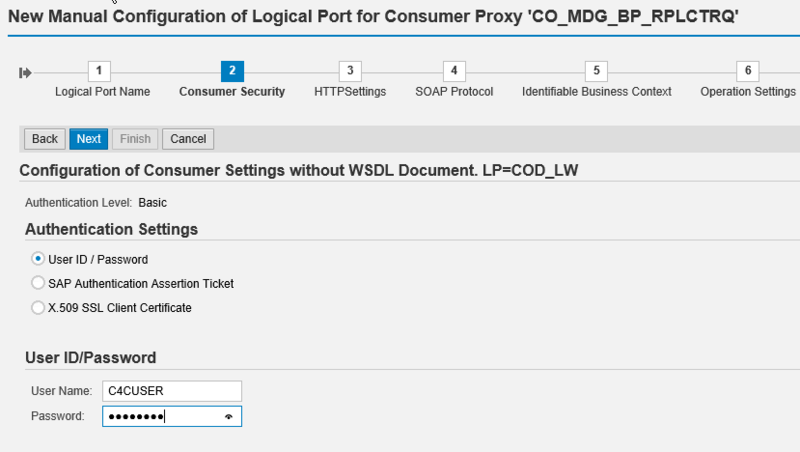 Enter Logical Port Name, Description, and select the Logical Port is Default checkbox. Choose Next. 5.5.4)Consumer Security: under Authentication Settings check User ID/Password. 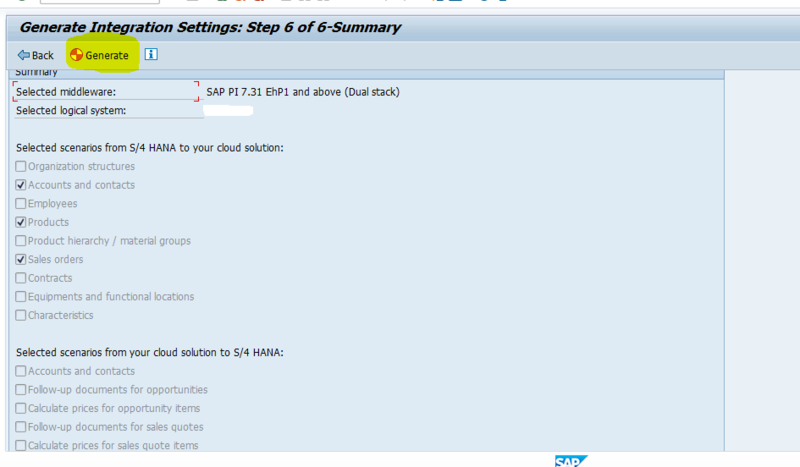 Enter the User ID and password of the RFC destination maintained in SAP S/4 HANA pointing to the SAP PI system. 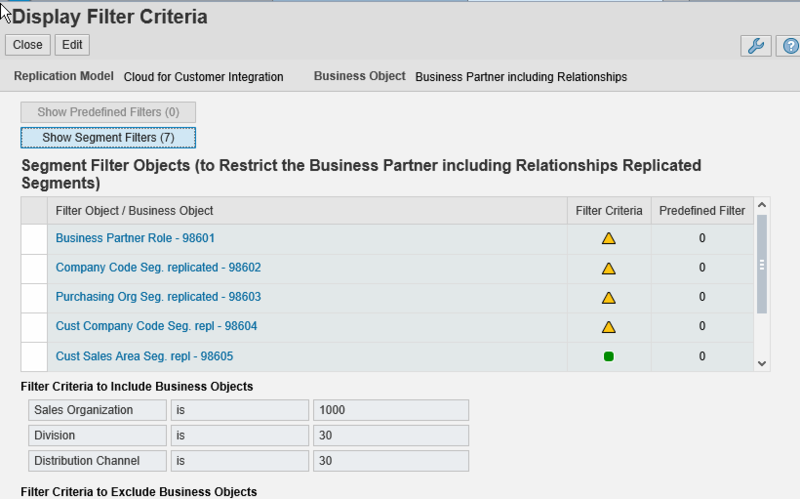 5.5.8) Follow the same step for other web services for Business partner. We can check connectivity by click on Ping and if there is any error we can edit and fix the same. 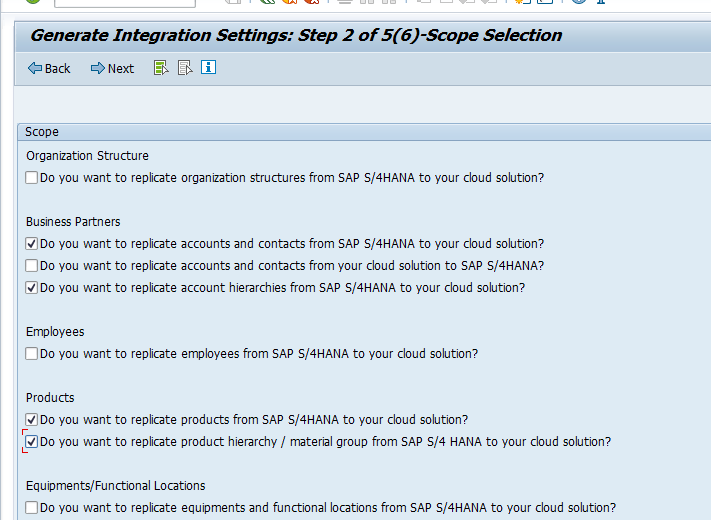 Choose New Entries to add Business System for SAP C4C. 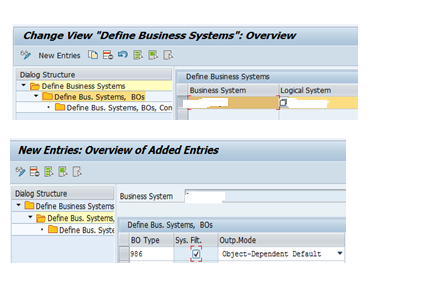 If the Business system is already created, Select Business System and Logical System name using input help. Choose Save. Note – Business system ID should be same as C4C system name.Get the business system name from communication arrangement of C4C. 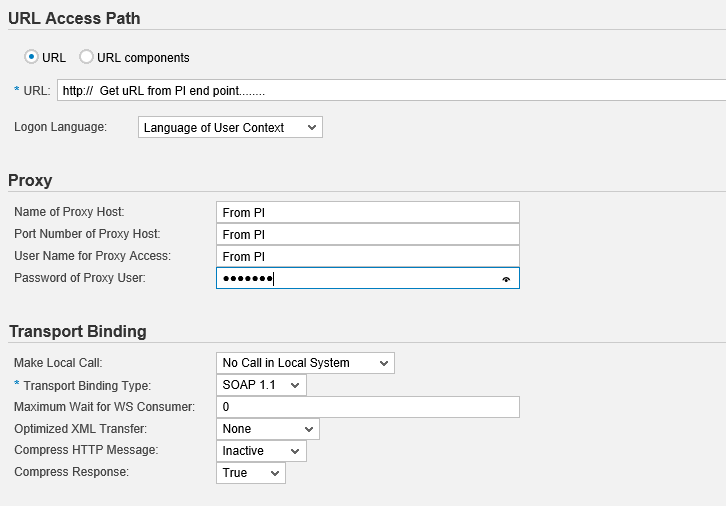 Select Outbound Implementation as Outbound Impl. For BP/REL via Services (986_3) using the input help and choose Enter. Select the row added and double click on Assign Target Systems for Repl. Model/Outb. Impl in dialog structure. 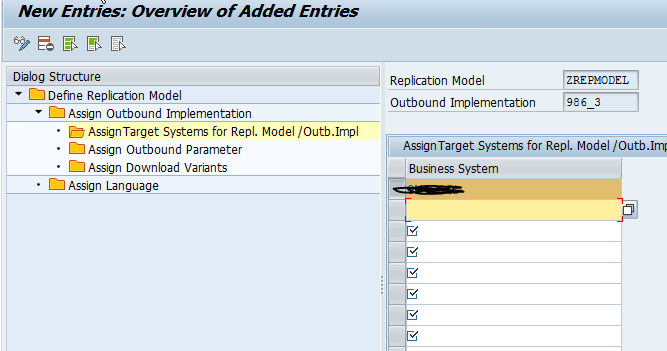 Select the Business system row and double click on the node Assign Outbound Parameter in the dialog structure. 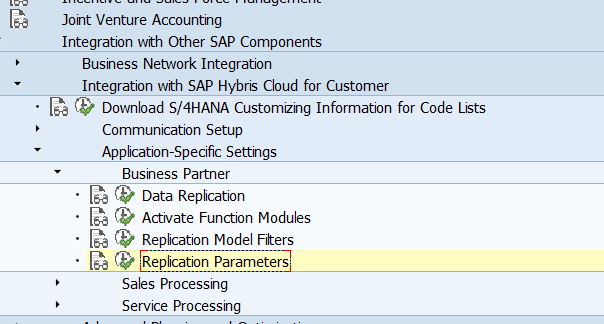 Note – Remember to Activate Replication Model. 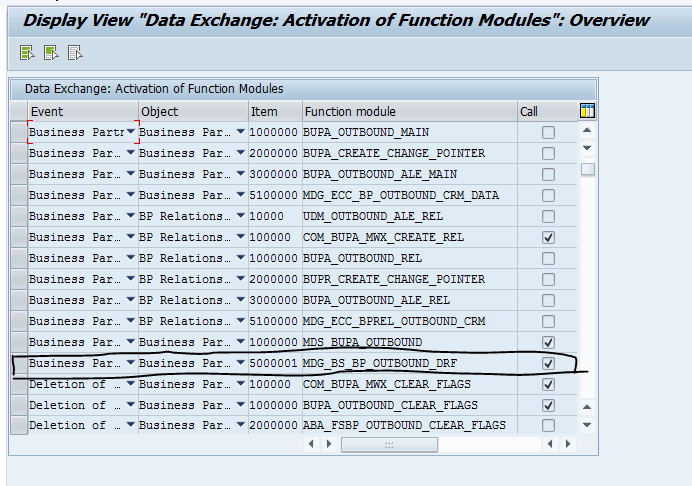 In IMG menu structure, navigate to Cross-Application Components>SAP Business Partner >Data Distribution > Activate Function Modules Activate the function module MDG_BS_BP_OUTBOUND_DRF by checking the field Call as shown below. 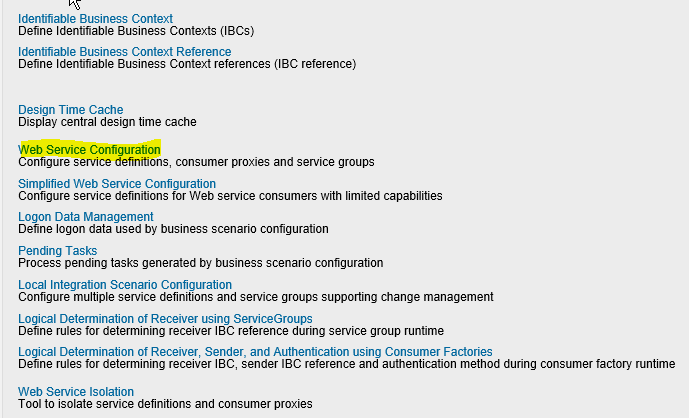 Business Configuration Set C4C_INTEGRATION_CS and C4C_INTEGRATION_CC contains additional customizing setting for SAP Cloud for Customer and SAP S/4HANA integration.BC set C4C_INTEGRATION_CC contains client-independent customizing entries for the ALE message. 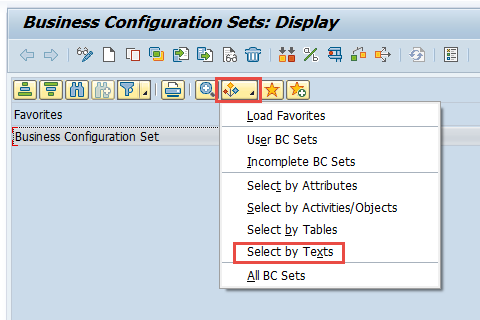 Choose New BC Set Selection> Select by Texts. In the dialog box enter BC Set name C4C_INTEGRATION_CS and choose Execute. Double click on the BC Set ID and choose Continue in the BC Set Consistency Check pop-up window. Z_C4C_INTEGRATION_CS and SET C4C Integration Customizing – client specific. 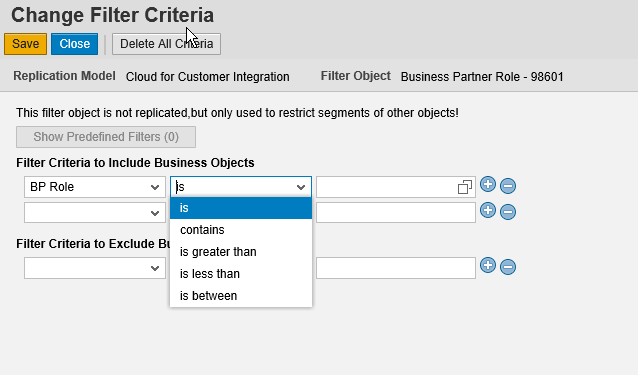 Choose Local Object or select a transport request if required. 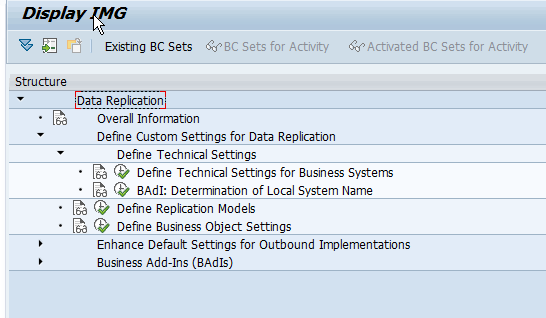 Choose Change mode and choose Continue in the BC Set Consistency Check dialog box. In the field BC Set, input the BC Set name Z_C4C_INTEGRATION_CS. In the next pop-up, choose Continue Activation with default value. 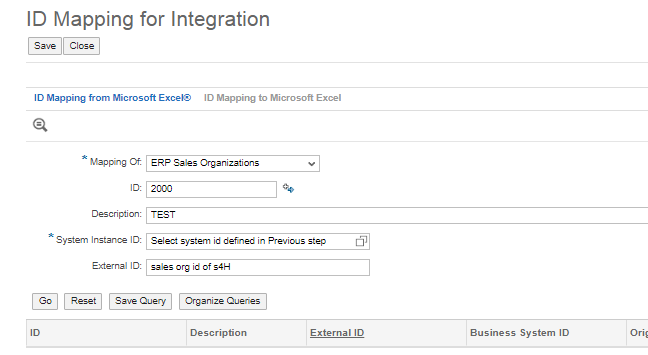 For an example if we want to replicate only one sales org data of sales organization 1000 distribution 30 and division 30 we need to configure it here. Select new entry and maintain data as follows . We can also maintain data directly through SM30. Customer In ECC XD03 XD03 no longer exist. Now in S4H we use transaction BP. To be continued – Please Refer my next blog for DATA replication S4H to C4C and ECC to C4C. Very useful blog and thanks for the clear explanations.